By thaliakr January 16, 2015 5 commentschurch calendar, fasting, generosity, Lent, spirituality40 acts of generosity, A Generous Lent, Facebook, Lent 2013, Lent 2014, Pinterest, quick reference guide to Lent 2014, Sacraparental Lent with Kids, What's the point of Lent? 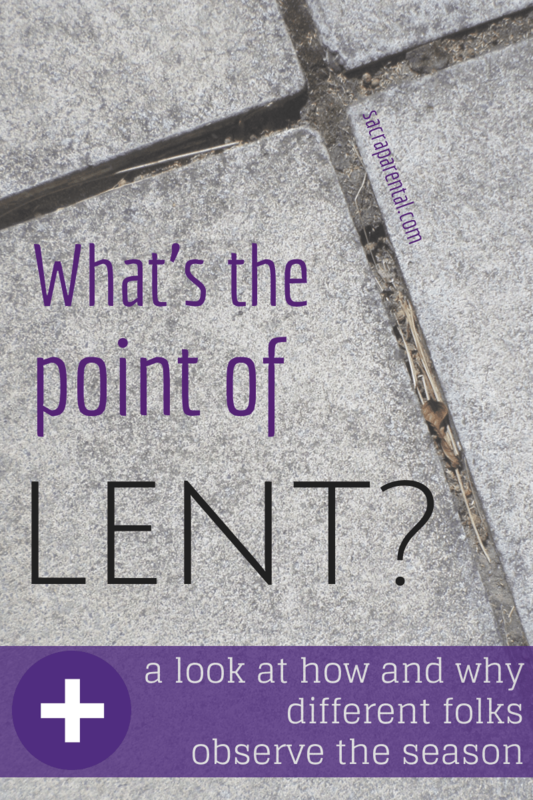 What do you need if you’re interested in Lent this year? Do you want to do some kind of traditional or modern fasting? Do you want to try a new spiritual practice for six weeks, or do a new kind of change-the-world activity? Is there some aspect of Jesus’ life or character you want to learn more about, or a particular way you want to become more like him? This is my third Lent as a blogger, so I realised there’s plenty of stuff here to check out if you are looking for some ideas for your own Lenten journey this year. I thought I’d put it all in one place for you, with plenty of time to think about what will be most helpful for you (and perhaps your household). Last year I laid out a plan for practising Lent at home, based around a daily mealtime ritual, particularly for adults and kids to do together. There were candles, artworks, questions, movies, conversation starters and real-life challenges. I also wrote a series of posts on the origins of Lent and how it has evolved around the world over time. The year before, I followed Stewardship UK’s challenge to life ‘A Generous Lent’. All of those posts, plus some more on the special days of Shrove Tuesday, Ash Wednesday, and Easter week, are listed below. Click away to find something that catches your eye for this year. The story of the first pancake party we threw, when our son was a baby, and I was still pretty unwell. It was low-key and great! We made lasting friendships from this day. Some amazing photographs of Carnival celebrations around the world. After the party comes the sombre contemplation. Lent begins (on 18 February this year) on Ash Wednesday. Definitely check out Jekheli Kibami Singh’s moving guest post on what the ashes remind her of. 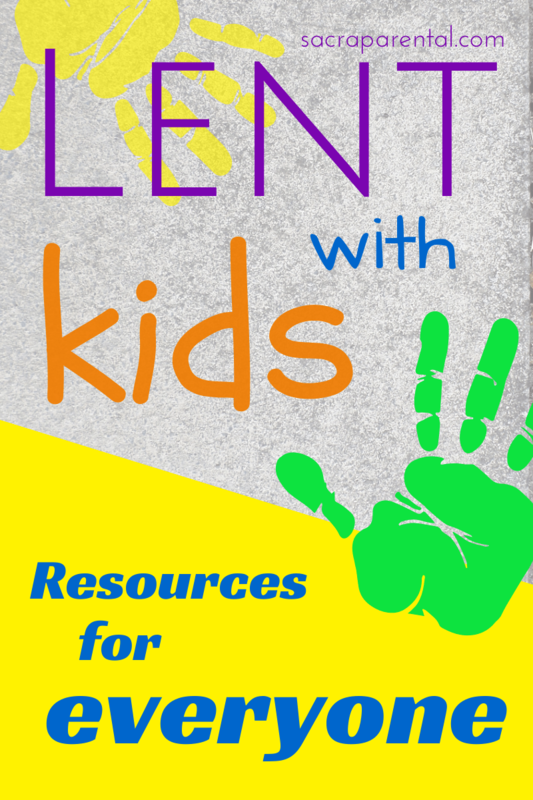 Lent with Kids Week 1: Getting Ready – START HERE if you just want to get cracking. This is a four-part series surveying the development of Lenten practices from the Old Testament to the present, looking for guidance as we create our own Lenten practices. Stewardship runs a new version of the 40 Acts pattern each year, and you can find the current one here. These are excellent, contemporary resources, well worth your time. Really the last in the Lent with Kids series, but for Holy Week: 32 ideas for celebrating Easter at home. An introduction to Easter, aimed at a general audience, at Kiwi Families. My review of Joy Cowley’s The Easter Story, the best Easter book for kids (and adults!) I know. A full online Service of the Shadows, including artworks to contemplate, based on the Tenebrae-style service New Plymouth West Baptist does. For adults: some Easter theology on the theme of Hope and Solidarity. The lyrics of ‘Strange Way’ by Martyn Joseph. On the first Maundy Thursday night, Pilate’s wife had a dream about Jesus. Easter Sunday: Hope is Regaining its Health. I have a Lent board on Pinterest that you can follow or browse (even if you’re not a member, I think). You can also follow me on Facebook for daily snippets. What else would you like? With all this material already on the blog, I feel nicely free to write on anything over Lent this year. I’ll take requests! Please let us all know in the comments if you’ve got any other resources or links to share. And I’d love to hear from you how you have celebrated Lent in the past, and/or what you have planned for this year. I’d be keen to feature some guest posts on what you do, so please let me know if you’re interested in writing one. Don’t miss a post or a tip-off! Keep in touch with Sacraparental throughout Lent by following Sacraparental on Facebook (for daily extras), signing up for email updates (the box at the top right) and/or following me on Pinterest (the Lent and Easter boards are particularly relevant just now, and I also have a couple called Art for the Church and Change the World that you might like). Thanks for these! I wasn’t aware of ’40 acts of generosity’ and have signed up for their emails for this year. I’ve typically done austere-type things for lent and wonder about trying something different this year. 1. The Household Covenant. This is from an Australian group called ‘Manna Gum’ who are trying to encourage Christians to live more Biblically in terms of economics, communality etc. The Household Covenant is a set of 7 Bible studies (one for each week of Lent) that look at 7 areas of life. The ‘covenant’ part is that you’re then encouraged to make one change in each of these areas over the next 12 months. The areas are things like ‘work and leisure’, ‘poverty’, ‘giving’, ‘savings and investment’ etc. 2. A daily reflection that I typically do each evening during lent. I take about 15 minutes over it, reflecting on my day guided by a set of questions, then praying about what is revealed. I’ve made up the questions myself, but they’re strongly based on a reflection from a Bible study from Lyfe in the UK. Unfortunately they’ve changed their website and you can no longer get to their studies without signing in, but it was a follow-up to a study on ‘holiness’ from a series on Richard Foster’s idea of the ‘streams’ of the church (holiness, charismatic, evangelical, social justice, charismatic and maybe more I can’t remember!). Spirit. Be willing to surrender to God. – What words have I used that have hurt others? – What actions or activities have I engaged in that are unhelpful or block my relationship with you? Holiness grows out of prayers like these. to be able to lay aside pride and take the place of a servant. I’ve found them really productive, and not too repetitive for the length of time I use them for, although if I try to continue with them after lent they start to be less useful after a week or two. Such great resources and thoughts, thanks Heather! I always appreciate your input. Thanks heaps, Nicola, fixed now. Glad you’ve found some helpful things! I’d love an update on what goes down well with the teens.